Attention Marvin Gaye fans! 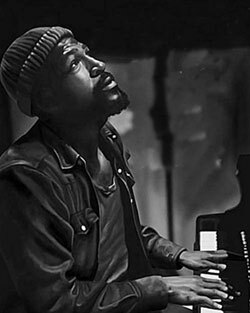 Tonight at 10pm PBS is airing a documentary entitled, “Marvin Gaye: What’s Going On,” as part of their American Masters series. Check out an early review and an interview with filmmaker, Sam Pollard. Ya’ll already know how I feel about Marvin so I will definitely be tuned in. Hope you will be as well. Come back and leave a comment tomorrow if you check it out. lol @ wordpress taking it upon themselves to give me an avatar.